I'm back with another review and giveaway. Today I'll be talking about one of my favorite lines out there, Jan Marini. This is my go-to brand for skincare. Recently they just released a line of self-tanning products and I had a chance to test them out. This product is great to have right now as we're enjoying the last rays of Summer and we want to extend our bronze glow into the Fall. 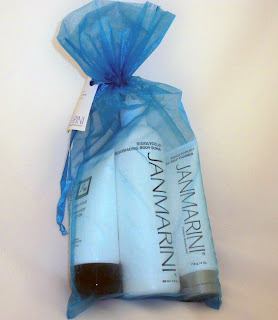 In this kit you'll get the Bioglycolic Sunless Self Tanner, Resurfacing Scrub, and Hand & Body Lotion. I previously reviewed this item but i'll give another quick recap. It's a true must-have in order to prep for self-tanning. The good thing is that it not only exfoliates but it leaves your skin feeling super soft and moisturized. This is a plus since I skip lotion and usually just apply the self-tanner. My skin doesn't feel super dry and tight after. The Self Tanner actually has a small percent of bioglycolic acid so that it penetrates the skin more and achieves a longer lasting glow. I use this after exfoliating and apply about once a week. I notice that you don't need a lot of product - maybe the size of a quarter for your whole face. The formula itself is a white cream that applies very smoothly. After about an hour, my skin looks bronzed but in a natural way. My skin complexion also looks more even. I only use this for the face even though you could use it elsewhere. I'm so happy that my skincare line came out with a tanner safe for the face. I'm wary of using other brands' tanners on my face due to my sensitive skin. The Jan Marini formula is safe for the face and I did not have any adverse reactions. A huge part of maintaining your tan is staying moisturized. 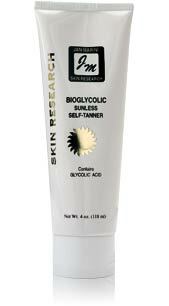 This lotion is great for evening out skin texture and healing environmentally damaged skin. Its size makes it perfect for your desk or purse. It is also a hand lotion which is awesome so that you can prevent aging on the front of your hands. FTC Disclosure: Product provided for review. These are my honest thoughts and opinions. I am not paid to write this review and not affiliated with the company. I'm so pale in the winter and I'd love to win this brand!! I live in Michigan and the cold and sunless time of year is coming up soon, it always gets really depressing when you get pale. I would love to try a self tanner to keep my summer glow going all year long. i am in desperate need of a tan! i spent my entire summer working and i'm looking a little pale. i would love to win this! I look much better with a tan and just can't afford it now ..so I would love to try this! iv breakouts and do a lot of exfoliating to smoothen out my skin. this makes my skin pale and dry with no glow. iv tried a lot of moisturising creams but they dont really moisten the skin but stil leav it dry after a few minutes. id love to win this brand to get some glow on my skin. I live in Seattle and the rainy season is about the start. I don’t get to see the sun for weeks at a time in the winter time because our days are so short. I would love to have glowing skin even in the winter time. I look like a vampire right now. I desperately need some color. LOL! I'd love to win because I hate being so pale.. :/ And I am always looking for the perfec self tanner! I would really like to win because I love the look of nice golden tans without all those pesky uv lights! id love to win so i can even out my body color! I would love to win this for many reasons...most importantly for my mother, she loves self tanners but cannot find a pleasant smelling one. She and I would appreciate this greatly! i'd like to win because the fall is coming up and i tend to get lighter but i want to stay tan! I'd like to win because I'm in love with cosmetics products. Hello, Ren! I would love to win this product because I, like you, have sensitive skin. My skin is extremely sensitive to a lot of products and I have to spend so much money on keeping it moisturized. I love trying new products for sensitive skin because I love to find something that works for me. I am soo pale because last time I tried to branch out and try a tanning product, it broke me out because it was not for sensitive skin :/. 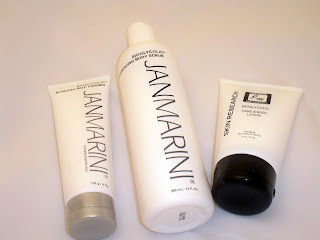 These products will help me stay moisturized and tan all in one and seem to keep the sensitive skinned in mind! I cannot go out tanning in the sun because I still have yet to find a suntan lotion that works for me. You could help me out tremendously! Thank you for the time and I love your blog and look forward to your tweets! Hi Ren , I would love to be tan again... I quit going to the beds a year ago because it hit me how bad it was and this is the best alternative! I feel so much prettier with a tan for some reason!! Hi, I'd Love To Win This Self Tanner Because I'm Pretty Pale In The Winter Time & I'd Love To Use This Rather Than Going Outside & Baking. It's Such A Healthy Choice. Thanks! Hey Pretty Lady! I would love to try this kit =] I live way up in Wisconsin and lets just say we are already at 50 degrees, and lets not forget my color is at about a minimum. I would love to try out this kit and get some color n glow! I would love to win this because I don't have to go out the sun to get a tan. It would moisturize and give me a tan at the same time. I've got the worse softball tan and it needs to go because I go to school in the Central Valley in CA (near Yosemite National Park) and its always so hot and we both know a softball tan in shorts aint cute!!! I'm asian and super pale! I've never gotten a real tan, more like sunburn. I'd love to win this giveaway so I could see myself with a glowing tan for once in my life! and I'm in love with cosmetics products.